There are actually two parts to this question. The first is silent: should healthy adults be taking a daily multivitamin at all? If you believe the latest research, the answer is no. The first thing to acknowledge is that, for the most part, Americans are not deficient in vitamins. A recent CDC survey found that we’re sufficiently nourished in essential nutrients like vitamins A, D and folate. But just because we aren’t deficient, doesn’t necessarily mean that our vitamin levels are optimal. The question is, how important are optimal levels? That doesn’t make a multivitamin just redundant, it could make it dangerous: Lichtenstein points out to Healthy Living that a large surplus of supplemental folate may have an adverse effect on colon cancer and other research has found a relationship between folic acid supplements and prostate and breast cancers as well. Lichtenstein adds that an overabundance of vitamin A, to levels of toxicity, can manifest in accelerated bone loss. Some vitamins are water-soluble and others are fat-soluble, explains Zeratsky. While water-soluble vitamins will pass right through the body and are expelled in urine (the inspiration for the popular “expensive urine” quip among physicians), fat-soluble vitamins are stored and build up over time, making it a bit easier to reach toxicity. Fat-soluble vitamins include D, E and A — common inclusions in both fortified foods and in multivitamins. What’s more, a longitudinal study of women who took multivitamins and those who did not found that taking a regular multivitamin was actually associated with a shorter overall life expectancy. Critics of the study suggested that a bias may exist — namely, that people who take a multivitamin may be doing so in response to overall health problems that reduce their life spans. Although, according to Lichtenstein, the profile of the average multivitamin user is this: a middle-aged woman who eats healthfully and exercises and has an above-average education level. “The population who takes them is most often the population who is least likely to need them,” she says. But there are people who can benefit from a multivitamin or certain supplements. One example that all of the experts we spoke with gave was women of child-bearing age — and especially those trying to get pregnant — who should ensure that they get enough folate to prevent birth defects like spina-bifida. Additionally, women who are going through or have gone through menopause might need a boost in certain nutrients, and those on specialized diets that are lacking in nutrition might also benefit. Because it’s so highly individualized, a supplement regime should be planned with a doctor. Still, there remains no evidence that multivitamins are useful to overall or long-term health — and some, albeit inconclusive evidence that they are harmful. If you are going to take a multivitamin, Zeratsky says that she doesn’t believe it will hurt. To ensure purity, she recommends looking for a brand that has been certified by a third party testing agency, like U.S. Pharmacopeal. Since vitamins and supplements are not regulated at the same level as food, it’s important to know the source of what you’re taking. But long-term health isn’t the primary concern at the center of this question. Johnny asked if there was a particular multivitamin associated with energy. Some people report, in a clinical setting (as opposed to a significant study) that the family of B vitamins gives them extra energy, reports Zaretsky. Though B vitamins are prevalent enough in our diet to maintain basic levels, it’s possible that people who have an energy response to B vitamins may be low in these nutrients without being deficient. The extra boost may also increase energy, as the vitamins play a role in regulating metabolism. Beyond that, when it comes to exercise, important vitamins for energy, muscle function, recovery and bone strength include vitamin D, vitamin C and electrolytes like potassium and sodium. Calcium is also really important — not only for bone health, but for regulating how our muscles contract, according to Zaretsky. That said, it’s better to get these nutrients from sunlight (in the case of the hormone, vitamin D) and whole foods. “Our healthy diet goes so far beyond what a pill can offer — known and unknown,” says Zaretsky, pointing to the fiber and phytonutrients that foods contain and pills lack. 4. Eat several small meals instead of large, heavy ones. Ever notice how a big, heavy meal makes you want to curl up in the fetal position and check out for an hour or so? Spacing out your meals helps regulate your blood sugar and should also help increase your energy throughout the day. 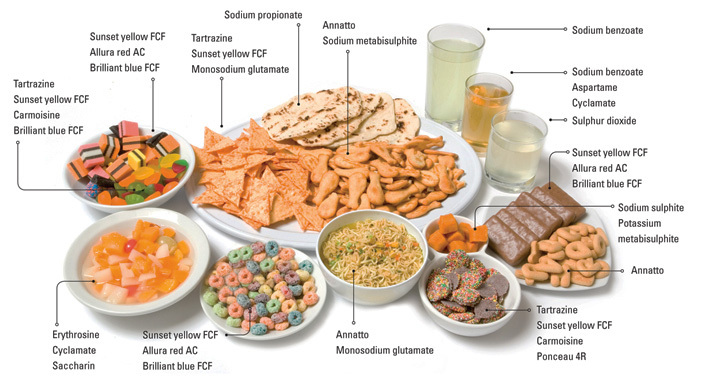 Also, avoid processed, fatty foods, sweets, or foods with refined white carbohydrates. They don’t contain enough nutrients and are easily digested and absorbed, which means you’ll feel energized at first and sluggish shortly after. You’re already tired—why add fuel to the fire? If you drink a lot of caffeine, your body’s response to it will change. You could drink over eight cups and still feel sluggish—but that doesn’t mean you won’t get the headache, irritability, dehydration, and host of other side effects that come with caffeine-overload. Instead, try an energy boosting food, like almonds, oranges, salmon, spinach, or blueberries. 6. Spend some time under bright light. Sleep researchers suggest this will help you feel more alert. In a 2007 study of women with breast cancer, increased exposure to bright light during chemotherapy resulted in less fatigue and better sleep. 7. Resist the urge to channel your crankiness. You might feel inclined to confront someone who wronged you when you’re exhausted. Whenever you feel something uncomfortable, it’s tempting to channel it somewhere—to take the feeling and do something with it. Fight the urge. You aren’t thinking clearly enough to have a productive conversation, and you’ll likely say something you regret. In fact, if you have any big meetings scheduled, do your best to push them to another day, even if it ruffles some feathers. According to the National Sleep Foundation, staying awake for 18 hours causes you to function similarly to someone with .08 blood alcohol level. You wouldn’t lead an important meeting drunk—would you? Know that this is normal, but plan to combat it. Avoid people or situations that trigger anger or frustration. Use a deep breathing relaxation technique when you feel yourself getting antsy. Anything to keep your nerves calm. 9. Catnap if you can. If you can nap, however, the right length is crucial. If you sleep for too short or too long a time, it will work against you. Experts suggest 20 minutes is ideal, since it generally takes 10 minutes to fall asleep and 10 for light, restful sleep. If you can’t fall asleep on demand, you might consider a brainwave entrainment CD (Google it!) to help slow your brainwaves. 10. Prepare to avoid making the same mistake tonight. Most of the time when we don’t get enough sleep, we are directly responsible. Whether you put too much on your plate or stayed up to late, the constant is personal choice. It’s not always the case—if you have a baby, for example. But most of the time, it is. If you recognize that sleep deficiency is causing your problems, set out to address the root cause. Deal with stresses that are keeping you up at night. Change your environment to allow for better sleep. If all else fails, see your doctor to check for health issues that might be affecting your sleep. You can have the most calming, zen bedroom, and still toss and turn because of an ache or something on your mind. You can avoid stimulants and start unwinding early in the evening, and still wake up to the sound of a blaring siren at 2:00 AM. Sometimes the best laid plan can fall apart when you can’t seem to remove that pea from under your mattress. It will happen on occasion—hopefully less often than not, but from time to time at best. How can you function when it’s just not possible to call in sick and tired to life? How can you make it through the work day with minimal damage to your health, mood, relationships, and job? When you don’t get enough sleep, you compromise your immune system. One thing I like to do when I am particularly exhausted is increase my intake of foods that have the opposite effect. Dark colored produce, like broccoli and berries which are high in antioxidants are a great choice. I also like Emergen-C, a powder supplement you add to water, which boosts energy and bolsters the immune system. 2. Carpool or take the bus. If you’re exhausted, there’s a good chance you’re also running late for work. That might make it inconvenient to take public transportation—but it’s better to slink past your boss’ office door at 9:30 or 10:00 than to fall asleep at the wheel. I know because I’ve been there. In 2000, I fell asleep on the highway and crashed into the guardrail. Luckily, no one got hurt, but that’s not always the case. In 2009, as many as 1.9 million Americans had a car accident or close call because of drowsiness. According to David Cloud, head of the National Sleep Foundation in Washington D.C., its possible to fall into a three to four second microsleep without knowing it—which is all the time needed to travel the length of a football field basically unconscious. 3. Get into the sun. Fifteen minutes in the sun can increase your vitamin D levels. The vitamin, along with B, is responsible for fighting fatigue. People with deficiencies often experience tiredness, moodiness, aches, and stress. While a little extra sunshine can’t replace the benefits of consistent sleep, soaking in the rays can pep you up a bit. Here’s something else to be scared of: drug-resistant superbugs. The use of antibiotics is the single most important factor leading to antibiotic resistance around the world. Antibiotics are among the most commonly prescribed drugs used in human medicine. However, up to 50% of all the antibiotics prescribed for people are not needed or are not optimally effective as prescribed. Antibiotics are also commonly used in food animals to prevent, control, and treat disease, and to promote the growth of food-producing animals. The use of antibiotics for promoting growth is not necessary, and the practice should be phased out. Like a lot of things in health care, there isn’t a lot of rhyme or reason to the overuse of antibiotics. One way you see that is to look at the tremendous variation in antibiotic prescriptions by state. It is very hard to imagine that North Dakota and Louisiana need to be prescribing antibiotics at twice the rate of California and Colorado. It wouldn’t be such a big deal for diseases to be developing resistance to the antibiotics we have if we were coming up with new antibiotics at a sufficiently quick clip. But — and this is the really scary part — the antibiotics pipeline has slowed down. This is, perhaps, the most unnerving graph in the whole report: It shows the sharp drop in applications for new antibacterial drugs over the last three decades. To make a policy point here, Washington spends a lot more time arguing about how to finance health insurance than how to deliver health. But if you’re securely in the middle class with employer-sponsored health insurance, these debates probably don’t affect you much. What does affect you is the possibility of dying of a hospital-acquired superbug when you go in for a routine surgery at age 62. These kinds of quality issues get a lot less attention in the Beltway, but given that about 85 percent of Americans have health insurance of some sort or another, they probably affect more people. And, in theory at least, preventing superbugs shouldn’t be the kind of thing that Democrats and Republicans disagree over. As I mentioned in my article about the impact antibiotics have on gut flora, the main difficulty after a course of antibiotics isn’t recovering the number of flora present; it’s recovering the diversity. As we’ve seen, probiotic supplements can be incredibly helpful for preventing antibiotic-associated diarrhea and lowering the risk of a gut infection, and I recommend continuing with probiotic supplementation for a period of time after finishing your treatment. However, you can’t expect manufactured probiotic and prebiotic supplements to achieve the diversity of an ancestral microbiome on their own. One of the best ways to expose yourself to more diverse beneficial bacteria is by consuming fermented foods, so I highly encourage you to experiment with a variety of different ferments. These can include kefir, beet kvass, sauerkraut, kombucha, kimchi, and other fermented vegetables or fruits. Keep in mind that foods like yogurt and kefir will probably only have a handful of bacterial strains if you buy them from the store, so homemade is best. Another way to diversify the bacteria you’re exposed to is by gardening or otherwise getting your hands dirty, although I haven’t seen any research on whether that exposure translates to a more diverse set of gut bacteria. As far as prebiotics go, just try to get as much variety in your plant foods as you can, in addition to supplementation with resistant starch or another prebiotic formula. Some of the best sources of soluble fiber include carrots, winter squash, summer squash (especially peeled), starchy tubers, turnips, rutabagas, parsnips, beets, plantains, taro, and yuca. Green bananas and unripe plantains (which you can dehydrate to make chips) are good whole-food sources of resistant starch. When antibiotics throw your gut flora into turmoil, the gut lining and digestive function as a whole take a hit too. To soothe your digestive system, it’s a good idea to ramp up your consumption of bone broth and other glycine-rich foods while you’re on antibiotics, and continue to consume these foods after the treatment is finished to promote healing. If you experience nausea or other digestive upset from the antibiotics, ginger can be extremely helpful for reducing inflammation and calming the digestive system. (12, 13) It’s best to use fresh ginger, and you can easily make ginger tea by slicing it and simmering it in water until the tea reaches your desired strength. Antibiotics can also take a toll on your liver, particularly if you’re on them for an extended period of time. Not only is the liver is responsible for processing and detoxifying medications, it also has to deal with extra circulating lipopolysaccharides from the increased bacterial death and intestinal permeability. Milk thistle is one of my favorite supplements for supporting liver health, and can be taken in a pill (like this one) or as a tea. (14, 15) Glycine is also important for liver detox, so be sure to drink that bone broth! I hope you found this article helpful. As always, I’d love to hear from you in the comment section; just be mindful that I’m busy with my book tour right now, and may not be able to reply to your questions. But many of my readers are extremely knowledgable, and I encourage you to take advantage of the free forum in addition to the comments section to bounce ideas and experiences around. While having to take antibiotics is never ideal, there are many cases where it is absolutely necessary, and don’t worry – the situation is far from hopeless. It will take some time and effort, but there are many things you can do both during and after a course of antibiotics to minimize the damage and encourage regrowth and diversification of your gut flora. To some, taking probiotics during a course of antibiotics might seem contraindicated. After all, won’t the antibiotics just kill all of the probiotics anyways? First, keep in mind that probiotics don’t need to actually colonize the gut to be beneficial; even transient strains can have powerful therapeutic effects. There are quite a few randomized, placebo-controlled trials that have demonstrated the effectiveness of probiotic use during a course of antibiotics for reducing side effects and preventing gut infection. For example, a study on 135 hospital patients taking antibiotics found that only 12% of the probiotic-receiving group developed antibiotic-associated diarrhea, compared with 34% of the placebo group. (8) Additionally, while 17% of the placebo group developed diarrhea specifically from C. difficile, nobody in the probiotic group did. One interesting study tracked changes in gut bacteria in three different groups of people receiving antibiotics, with one group receiving placebo, one group receiving probiotics beginning after the antibiotic treatment ended, and the third group receiving probiotics both during and after antibiotic use. The group receiving placebo had significantly higher levels of facultative anaerobes (their chosen marker for gut dysbiosis) 20 days after finishing antibiotics compared with baseline, while the two groups receiving probiotics had no significant difference. But even though both of the probiotic groups ended up back at baseline levels, only the group taking probiotics during as well as after antibiotic treatment maintained stable levels of facultative anaerobes throughout the experiment. In the group receiving probiotics only after completion of antibiotic treatment, facultative anaerobes increased significantly during antibiotic treatment, and decreased only after beginning probiotic supplementation. This clearly demonstrates the importance of taking probiotics during antibiotic treatment, as well as after. Most of these trials used different strains of Lactobacilli, Bifidobacteria, or Saccharomyces boulardii. Lactobacillus and Bifidobacterium are two of the most common genera used as probiotics, so these supplements are readily available in most health food stores or vitamin shops. S. boulardii is actually a beneficial yeast rather than a bacteria, so it’s particularly useful during antibiotic treatment because the antibiotics can’t kill it. S. boulardii is also preferable under these circumstances because there’s no risk of it harboring genes for antibiotic resistance and later transferring those genes to pathogenic bacteria. Another option for probiotics is a blend of soil-based organisms, such as Prescript Assist. I haven’t located any studies on their effectiveness in conjunction with antibiotics, but based on my clinical experience, I believe they’re a great choice. As with anything else, the best probiotic to take will depend on a person’s particular circumstances (such as the antibiotic they’re on and the state of their digestive system), but the two supplements I recommend most often are S. boulardii and Prescript Assist. If you don’t do well on either of those supplements or just wish to add more variety, feel free to add in a supplement with strains of Lactobacillus and Bifidobacterium. Do your best to take any probiotic supplement as far away from your antibiotic dose as possible. As I’ve mentioned before, prebiotics are much more effective than probiotics at promoting the growth of beneficial bacteria in the gut. Thus, prebiotics are an incredibly important part of any regimen to protect or rebuild a healthy microbiome. During and after antibiotic use, focus on getting plenty of soluble fiber, which feeds beneficial bacteria and is found in starchy tubers, squash, and peeled fruits. It might be best to avoid too much insoluble fiber while your gut is in a compromised state, since it can be irritating to the gut lining. However, one type of insoluble fiber that can be extremely helpful for supporting healthy gut flora is resistant starch. (11) I’ve talked about resistant starch before here and here, and the easiest way to get a concentrated dose of RS is to use Bob’s Red Mill unmodified potato starch. As with any supplemental prebiotic, it’s a good idea to start with a small amount and work your way up. In this case, you could start with 1 teaspoon and work your way up to 2-4 tablespoons per day. If you find that RS doesn’t work well for you, you might consider trying an inulin-based prebiotic such as this one. If possible, introduce any prebiotic supplements before beginning the course of antibiotics so your body can get used to them. That way, you won’t have to deal with possible side effects from introducing the prebiotic on top of possible side effects from the antibiotics. There’s a reason colds are called “common”: Most healthy children have six to nine viral infections each year. Small children have more than their share of run-ins with runny noses because they haven’t yet had the chance to build up immunities against the many different cold viruses flying around. Though these frequent colds are rough on your baby’s nose (and his snot-smeared cheeks), they won’t do him any harm, and they can actually do him some good. Frequent bouts with bugs can boost your baby’s immune system, making him less susceptible to infection later in life. Monitor mucus. A stuffed-up nose can be uncomfortable for your baby, making it difficult for him to breathe (babies are usually nose breathers) and for both of you to sleep. Use a suction bulb to gently extract the excess mucus. Got the crusties? Over-the-counter saline nose drops can soften mucus before suctioning. Heighten humidity. Use a warm-mist humidifier in your baby’s room. Moist air can reduce congestion and make breathing easier for him. Bump up the bed. Raise the head of the crib mattress by positioning a couple of pillows or other supports underneath it to make breathing easier. Get savvy with salve. Apply a small amount of petroleum jelly or other ointment (such as Aquaphor) under your baby’s nose to help prevent chapping and reddening of skin. (Be careful not to let it get into the nostrils, where it could be inhaled or block breathing.) “Smear tactics” giving your baby’s cheeks or chin a raw deal? Dab a little ointment there as well. Fight back with fluids. Increase your baby’s fluid intake to replace those lost through fever or runny nose. Your baby develops a fever that lasts for more than two days or his temperature spikes suddenly. His cough becomes productive or wheezy. A thick, greenish-yellow nasal discharge develops and lasts more than a day. Your baby starts pulling on his ear. He seems to be especially out of sorts (very cranky, unable to sleep for very long) or downright lethargic. All of these symptoms indicate that a secondary infection, such as an ear infection or bronchiolitis, may have set in, and it’s time for medical treatment — just what your pediatrician is there for. South America is a very popular destination for many people. There are there to discover fascinating landscapes and many interesting towns. In addition to many cultural attractions, there are also many natural beauties in South America. However, South America is climatically and culturally very different from Germany and Central Europe. Therefore, it is worthwhile to invest a lot of time as a tourist in a good travel preparation. This is especially true with regard to the right travel information and health tips. Would you look at South America as Tourist relatively quickly and easily via the customs, the culture, the sights and of Destination inform, so can afford reisefrage.net valuable services here the website. For medical notes and hints page can be accessed gesundheitfrage.net. reisefrage.net is a counselor platform where it comes to the exchange of personal travel experiences. So can put on reisefrage.net specific questions regarding a country or topic to the community of Webpage registered users. The questions can be as specific as possible and failed at reisefrage.net. For this reason, it is possible to find too many topics information on the website about South America. Topics range of nutrition tips ImpfvorschlГ¤ge to the question, how much tip you should give to a taxi driver in a South American country, how best to deal with begging children in Peru and what it must in the suitcase when you pack for a trip to South America. Because of the diversity of the information provided, it is essential that visitors to the site reisefrage.net are able to find their way on the page. This is achieved firstly through the search function. You are here simply one or more keywords, such as the word ” America “, ” Peru “, ” Bolivia ” or “Venezuela ” and then looking at the search results. These consist of questions that have already been made вЂ‹вЂ‹earlier by other users. If you click on the questions of interest, so you can also read through the answers that other users have already given to this question. The answers, however, are not professional answers. It is, rather, experiences and reports from other South American travelers who have one or two additional tip. People realize that it is possible not only prevent a large number of disease with a healthy diet and regular exercise, but also that allow the quality of life can be significantly increased.With a healthy lifestyle you are well advised also in professional life. Not only the physical fitness helps in the execution of daily tasks, we are healthy, can also withstand stresses such as stress better. We are sick less often and can also cope with more difficult tasks easier. What if you get sick yet? But, unfortunately, does not always help a healthy lifestyle. In spite of good nutrition and regular exercise, we can ill or are injured in an accident. Then, when a longer inability to work following a disability, which means a significant financial burden for many people. In case of disability, so if you no longer are able to work in your profession because of physical or mental illness, you have to expect only small benefits from the state. Just when you after 1 January 1961 are born, you are entitled to only a disability pension, which makes up more than 30 percent of your last gross salary. This ranges from rare to deny their own livelihood. The only way to effectively make provision here is a disability insurance. This pays in the event of incapacity a predetermined pension. The contributions for such insurance are calculated based on your age, gender, profession and exercised your health. Therefore, it ‘s worth it early on to complete a BI insurance when you still young and healthy, because in this case expect a much lower contributions. But even if you are still very young, a comparison is still useful, since the individual is priced rates may differ even in the same conditions. But be careful: Some insurance contracts reserve the right of so-called abstract reference. In this case, the insurance company even with a clear case refuse payments if you is still possible to work – no matter what profession. Therefore, you should always make sure that the Treaty rules out such an abstract reference. What are the Benefits of eating a healthy food and Clean Eating for me? With eating healthy food I feel in my body super comfortable. Clean Eating is easy to implement ( no calorie counting, no points count). Clean Eating sharpens the view and understanding of good food. It promotes the natural need to give the body really good food. Through Clean Eating I suffer not hungry. The frequent and good meals satisfy me enough. It is the kind of diet that we humans are accustomed by nature. I eat so ” humanely “. What can you expect from a clean diet? more energy in daily life and during exercise: YES! alertness in the morning: Yes, mostly! weight loss in overweight: Definitely. excited Metabolism: Yes, I think so. strengthened immune system: Could be even better. The better the fuel is that we give our bodies, the better he will guide us through life. Without ailments, diseases and excess pounds. This has become one of my guiding principles in terms of nutrition. He also stuck on a sticky note on my fridge and reminds me daily to Clean Eating and how good I feel it. Може да ви е известно, че повечето преработени храни не са идеални за здравето ни. Тези храни често са натоварени с изкуствени химикали, които могат да причинят всякакви опустошения на нашето тяло. Обикновено тези хранителни добавки не са лесни за идентифициране, тъй като те са скрити под различни имена и кодове и обикновено с много малък шрифт. Дори когато добавките се получават от растителни източници, те все още могат да бъдат вредни. Както казва Майк Адамс от “Глад за промяна”: “Стойте далеч от всичко, което е неестествено и силно концентрирано химично вещество от растение, което трябва да се консумира в неговата пълна спектрална биологична хранителна сложност. Това е начинът, по който природата доставя храна – като хранителен комплекс, не като едно отделно хранително вещество “. Невероятно има над 300 химикали, използвани в преработените храни днес и статистиката показва, че средното американско домакинство харчи около 90% от техния бюджет за храна за такива храни! Тези химични вещества, създадени от човека, се разглеждат като чужди на нашите тела, което често води до редица последици за здравето и благосъстоянието ни. Алергиите са честа нежелана реакция и е известно, че MSG причинява преяждане и наддаване на тегло. Най-добрият начин да избегнете излагането на тези вредни химикали е да разберете най-често срещаните и опасни хранителни добавки и кои храни най-често се срещат в тях. Това е нашето ръководство за пазаруване “Топ 10 хранителни добавки за избягване”. Прочетете следното и не забравяйте да изтеглите собствената си версия за отпечатване по-долу, за да вземете със себе си следващия път, когато пазарувате хранителни добавки. The pursuit of a healthy lifestyle is no longer about nutrition and exercises. Also, the benefits of living in a healthy way are not limited only to the petite and muscular body. Through healthy lifestyle you achieve quality of life, allowing you to enjoy more of everything around you. When you live in that way, you will be able to live more fully and happily. The services offered by us are related to access to information and suggestions on how to improve your lifestyle. We can help you to keep your health, to eat well and to do the needed exercises. If you want to live better, contact us. Our well trained professionals will help you with advice and useful information.